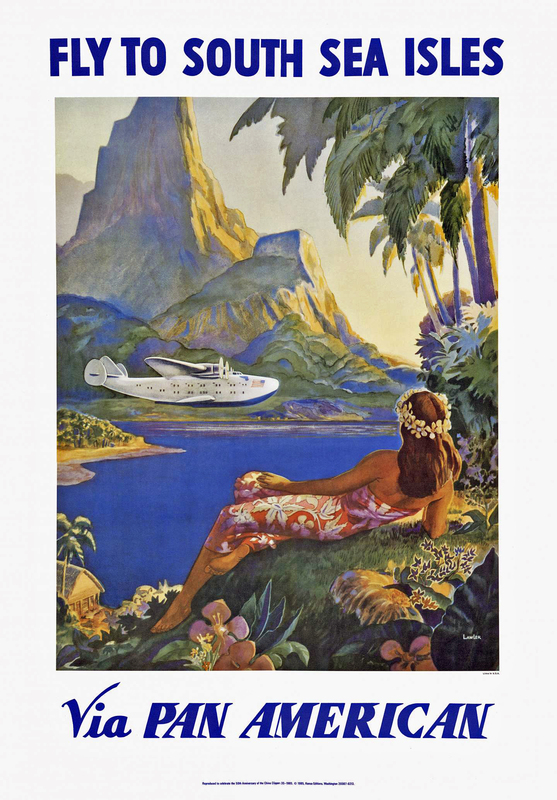 I became curious last night about George Lawler’s sources for his 1938 “Fly to South Sea Isles” painting for Pan American Airways, so I did some digging. 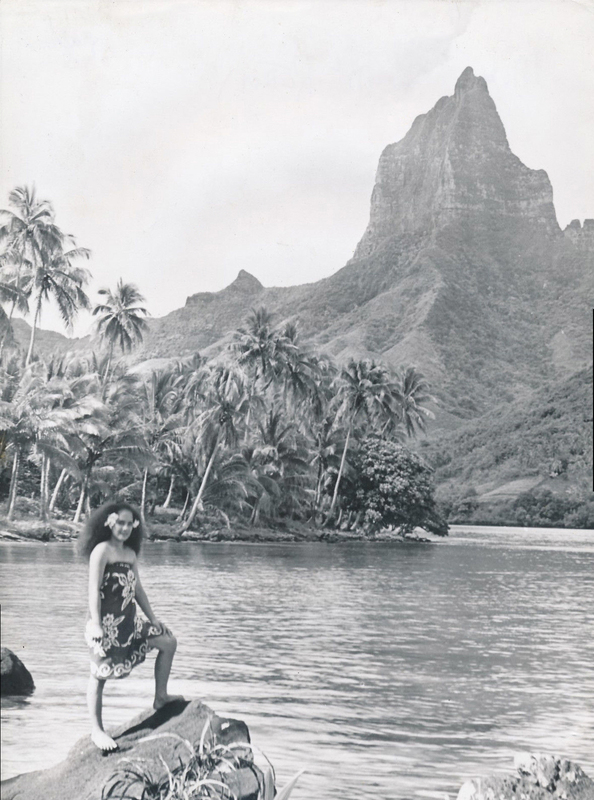 The auction listing I quoted in my earlier post spoke of a fantasy setting that he likely merged from multiple sources, but it seems to me that there’s just one primary source: It’s clearly a view of Mont Rotui from either ‘Ōpūnohu Bay or Cook’s Bay in Mo’orea, Tahiti. If it’s from Cook’s Bay, the Clipper’s direction of travel in the painting might not be right as it probably would have inconveniently scraped one or two other mountains from that direction, but even so, the pleasing juxtaposition and opposing symmetry of the aircraft and the woman are reason enough for a little artistic licence, don’t you think? 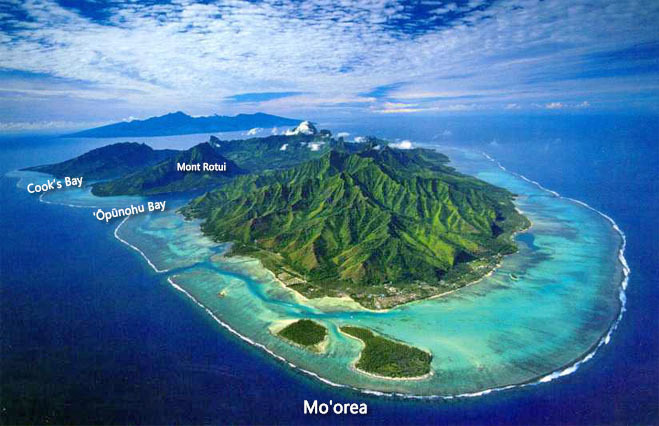 You can click on most of the images below for larger versions. 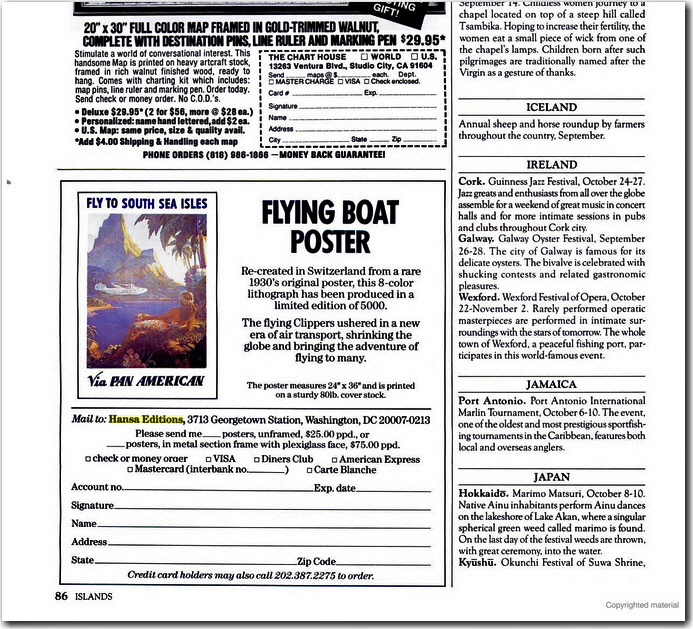 In the course of my search, I remembered that my print was issued by Hansa Editions to commemorate the 50th anniversary of Clipper service, and then was a bit amazed to find, on Google Books, the Islands magazine advert from which I ordered in the 1980s. 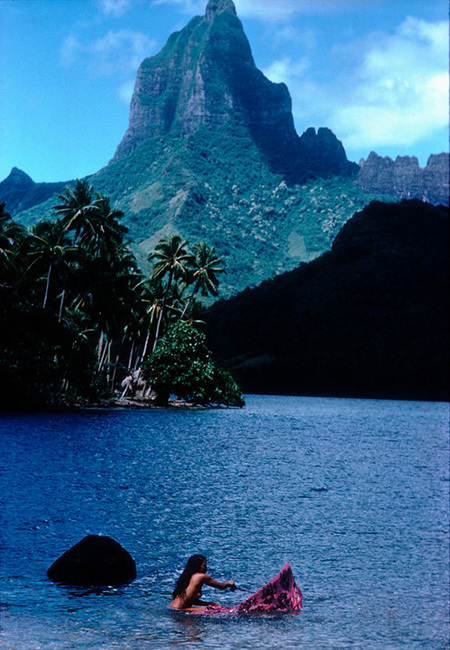 This print, probably the finest of the various reproductions made over the years – some are appallingly amateurish in quality – goes for considerably more than US$25 these days. I also found a photograph in the Smithsonian archive that gives a better sense of scale of the behemoth that was the B-314 – click the 1970 x 1343 image to see more clearly the two men on the right wing. 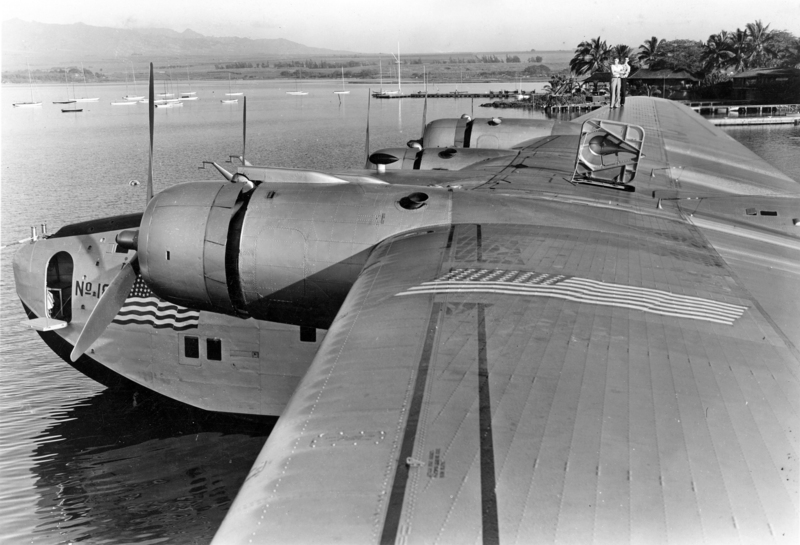 This is the same California Clipper, NC-18602, at Pearl Harbor circa 1939-1940 with the view over the wing from the #1 engine. 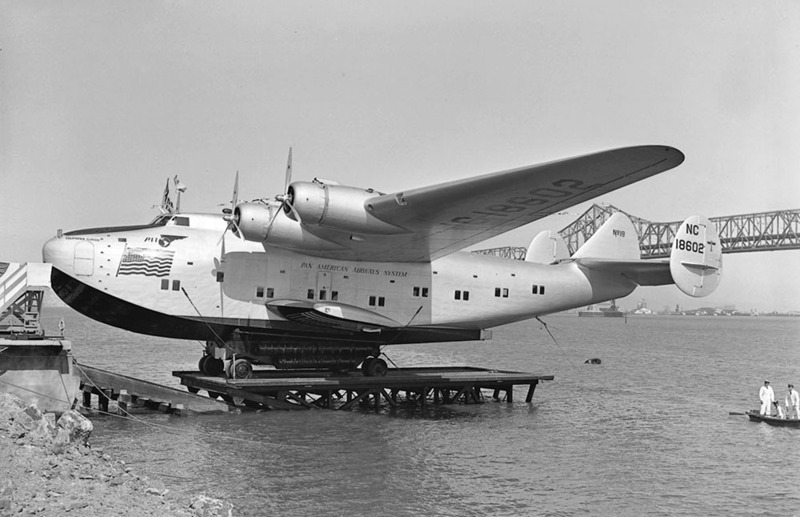 I see no weathering at all, even around the engines, so I favor mid-1939, possibly right after its maiden voyage to Hawaii. That open hatch is the navigator’s windowed observation hatch. Below is NC-18602 at Treasure Island in San Francisco Bay on christening day, Tuesday 25 April 1939, with the Bay Bridge in the background. The platform it’s on is moveable and could be winched up the ramp while the aircraft remained level; the aircraft was then towed ashore for maintenance using the wheeled beaching cradle it sits on. 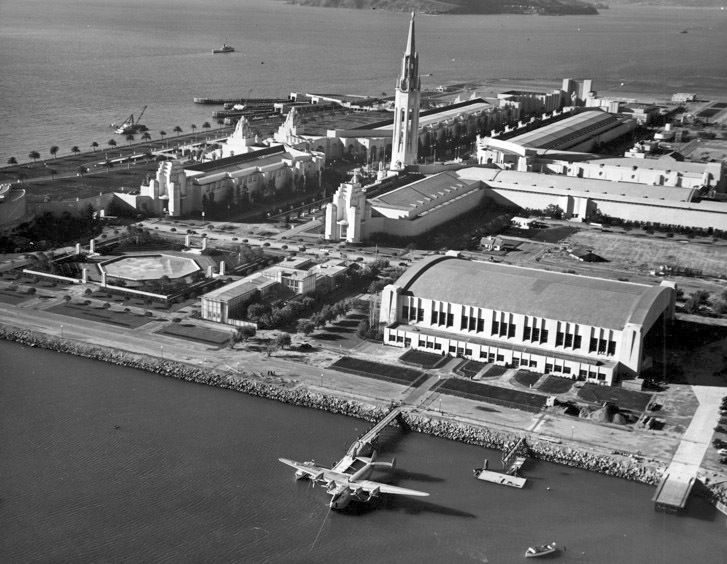 This hangar and the one to the right of frame are both intact on Treasure Island, two of just a handful of original 1930s structures still there. Section 7 of this article on Treasure Island then and now shows the buildings today.